Eating is one of the most intimate, human daily routines. All cultures have their own specific ways to nourish themselves: some eat with their hands, others with a fork and knife, or yet others with chopsticks. What we eat varies as well and connected to each dish comes specific ways to consume it. Birgitta Ralston, Alexandre Bau, Jan Brauer and Åshild Stav were invited to be guest speakers at the PICNIC Festival. It is an annual three-day event that blurs the lines between creativity, science, technology and business to explore new solutions in the spirit of co-creation. This year’s theme was Urban Futures, with a focus on sustainability, infrastructure, society, design and media. The Transplanteurs held a food rituals workshop at the festival, treating both our required and treasured daily routines. 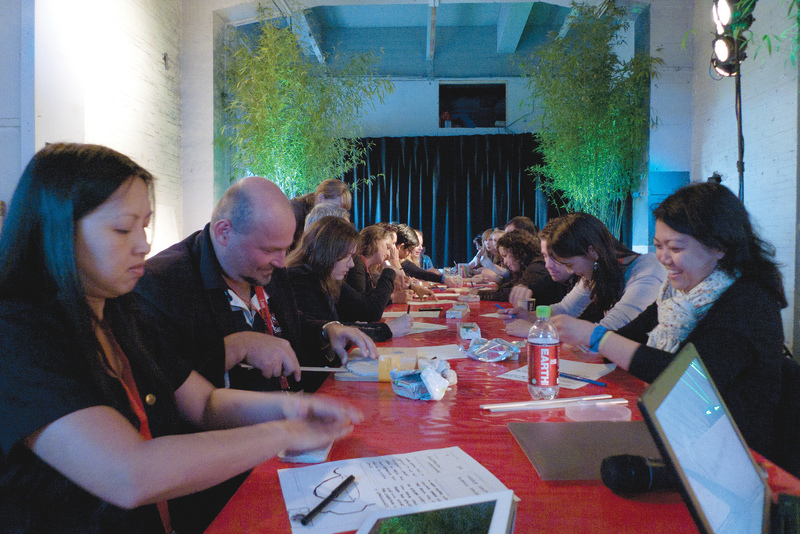 The workshop explored the participants (Dutch and other) food rituals and co-created new objects. Inspiration for unique designs portraying differences and culture came through observations of everyday human life. The designers also showed objects created from French and Swedish food rituals.